Keyboard shortcuts are very useful and also serves as great importance to us. Actually, with keyboard shortcuts, the efficiency of your computer becomes better and it also helps in terms of multitasking. The keyboard stortcuts also helps us in terms of health issues, unlike the extensive use of the mouse can lead to RSI (Repetitive Syndrome Injury), but with the use of keyboard shortcuts rather than the mouse usage, you easily reduce the risk of RSI. Today's stroll, I would brief you on the 10 New Ultimate Windows 8.1 Keyboard Shortcuts for Quick Use. 1. Win+D: This helps to show or hide desktop. 2. Win+T: This helps to open the taskbar when using windows 8.1 on desktop or start screen. 3. Alt+F4: This helps to shutdown the windows store app completely and take it back to the desktop. Then on desktop, the old dialog box would be brought out. 4. Win+Tab: This helps to switch between apps on the desktop. 5. Alt+Tab: This helps to switch between all apps which also includes the desktop apps. 6. Home Key: On the start screen, the home key shortcut would help to take you to the First, left top tile or icon. 7. 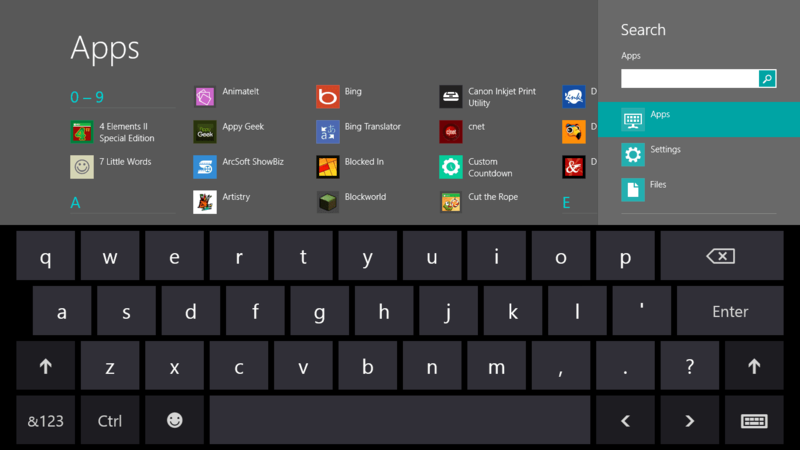 End key: On the start screen, the End key would help to take you to the last, left-most tile or icon, below the row. 8. Escape Key: On the start screen, the Esc key helps to take you back to the desktop screen. 9. Win+.+Right Arrow or Win+.+ Left Arrow: This helps in placing up the four apps sides by sides. 10. Win+ Down Arrow: This helps to close the windows store app (Not completely), and makes it run in the background silently. Hope the above highlighted Keyboard shortcuts helps. I would advice you get used to them because they serve a very big advantage to you and also increases the efficiency of your computer, just as I stated above. Be social, and Kindly share this Top 10 New Ulitimate Keyboard Stortcuts in Windows 8.1 with the help of the share buttons below. Also remember to like our page on facebook and follow us on twitter for more latest tips. If you got any computer related issue, you can fix it at our resolution center.